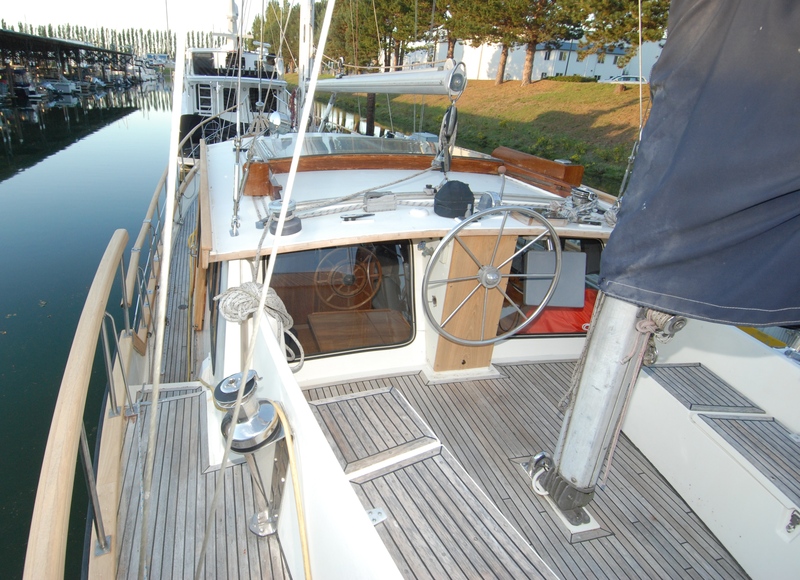 1980 Nauticat 44 Motorsailer La Rose Sold! Update: Price reduction! Now clearance priced at $130,00. Exterior woodwork has been stripped and she looks great with the LP hull paint and clean teak rails. Exterior woodwork was just stripped, sanded and sealed. She looks great! Just returned from Alaska. Gerry and I brought her down the Inside Passage. You can read about our delivery on my blog. Read it here. Call Steve Scruggs at 206-930-6139 or Gerry Henson at 253-740-8873 to arrange a private showing of La Rose in La Conner! On Trawler Row now. Complete information on La Rose & over 100 photos are here.